Routine maintenance needs careful planning to ensure risks are mitigated – follow our tips for safety. It’s the time of year when employers begin to check their roofs to make sure that they’re watertight for the winter days ahead, and to clear summer and autumn debris from gutters and drains. Unfortunately these fairly simple tasks mean working at height and can be guaranteed to bring a crop of injuries to the employees and workers involved. While some of these will be minor, many are serious in nature and certain to bring action by enforcing authorities. Whether the work is carried out by direct employees, agency workers or contractors, the employer in control of the premises will always have a legal responsibility for the safe conduct of the work. Following the unfortunate fatal accident of a scaffolder working at a Dairy Crest creamery, both the company and the man’s direct employer were prosecuted and fined. The work hadn’t been properly planned because fragile parts of the roofs hadn’t been identified and Dairy Crest had not checked their contractor’s method statement and plan of work. The oversight cost them and the injured man’s employer £95,000 and £40,000 respectively, not to mention the sad loss of life. Roof work, from the smallest to the largest job, must be properly addressed and managed. 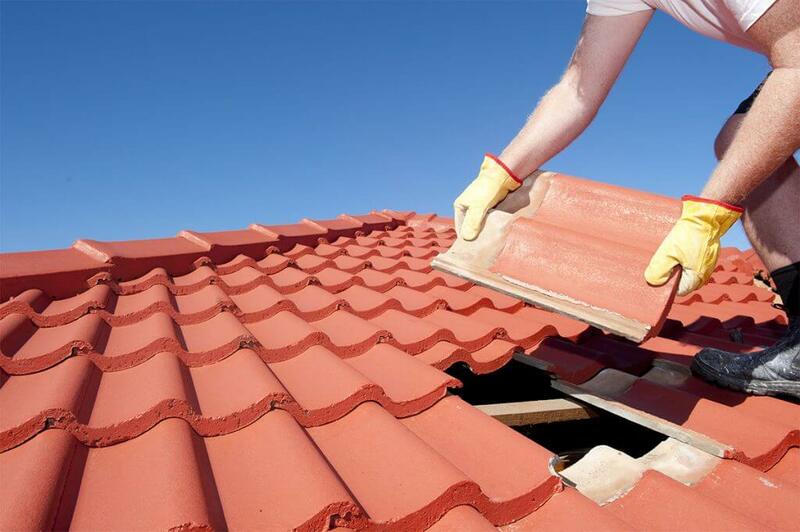 In most cases, straightforward physical protection measures will prevent the main problems of falls through fragile roofing materials, from unprotected roof edges and unsuitable access. If you’re employing a contractor, make sure you ask them to provide details of the precautions they’ll be taking, and ensure that you’re completely satisfied that they’re suitable before awarding the work, and that they follow that plan and observe all the stated precautions in practice. Because they’re working on your premises, you can’t afford to just sit back and let them get on with it unchecked. If you have any concerns, don’t let them work. Some contractors may claim that specific precautions aren’t required because it’s ‘short term work, but don’t accept that at face value: they must still take all reasonable practicable precautions. Gutter cleaning may seem a quick and easy task that anyone can do. It is and it can be done without risk if the steps involved are properly considered and managed. The real risk is of falling from the ladder or other access used to gain access to the gutter. It’s much better to anticipate the blockage and clean when the weather is dry, remembering the rules for using ladders and ensuring that the person at the top of the ladder doesn’t over-reach. Because it’s tempting for the person at the top of the ladder to over-reach, it’s even better if the work can be done from a portable tower scaffold or a mobile elevating work platform. What’s more, the hazard and risks of working at height can be removed almost completely by the use of specialist vacuum equipment, as illustrated, available from many hire specialists. Peninsula Business Safety members have access to guidance on work at height and roof work in their BusinessSafe Online systems. They also have access to their business safety consultant and a 24 hour Advice Service – 0844 892 2785 – where they’re unsure or need further information or advice. With our support, there’s no reason why they should be caught out over this annual work activity.